Invest in Mane Stream with a monthly gift! 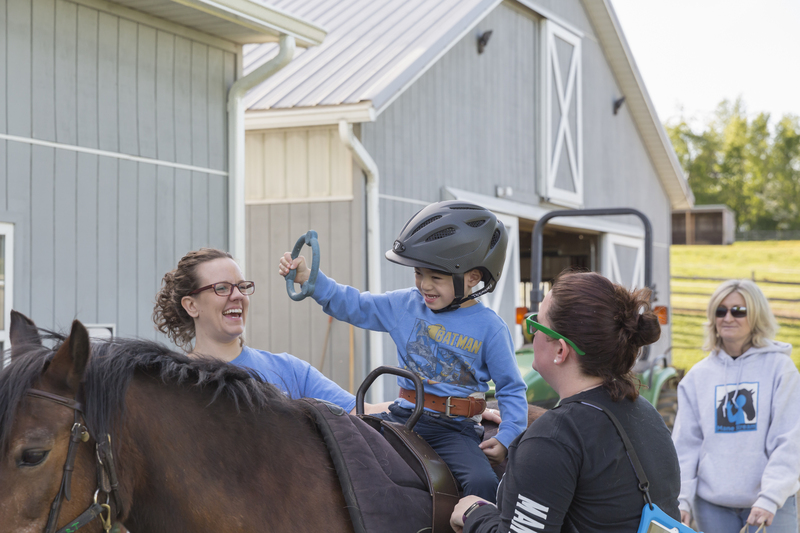 For as little as $10 per month you create a positive impact for our therapy clients, adaptive riders, summer campers and, of course, our horses. Gifts of every size are vital to the success of Mane Stream's programs and are truly appreciated! By joining Partners in Possibilities at Mane Stream you ensure that our clients, riders and horses have the consistent support they need to thrive. Your commitment to Mane Stream is inspiring and plays a key role in our financial health. Thank you for your ongoing investment in Mane Stream's mission! Each transaction will appear on your monthly credit card statement. This agreement will remain in effect until the donor notifies Mane Stream's Executive Director or Business Manager that you wish to change or suspend it, and Mane Stream has a reasonable amount of time to fulfill the request.